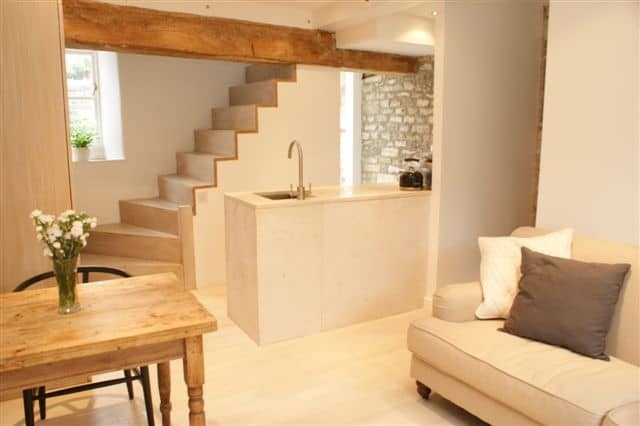 This Grade II Listed cottage in Bradford on Avon went from a damp dark space to a minimalist open light living space. 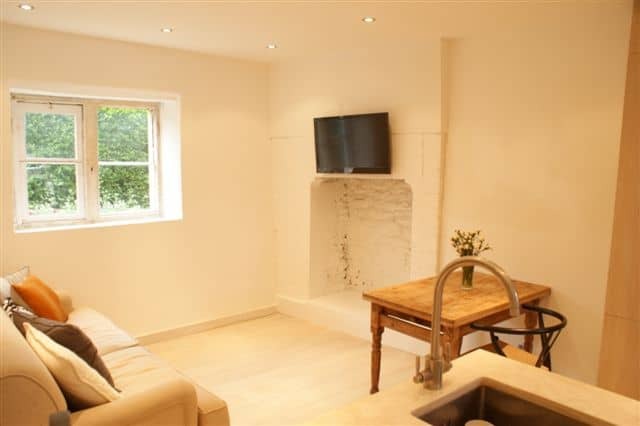 This Grade II Listed cottage in Bradford on Avon went from a damp dark space in somewhat disrepair, to a minimalist open light living space. 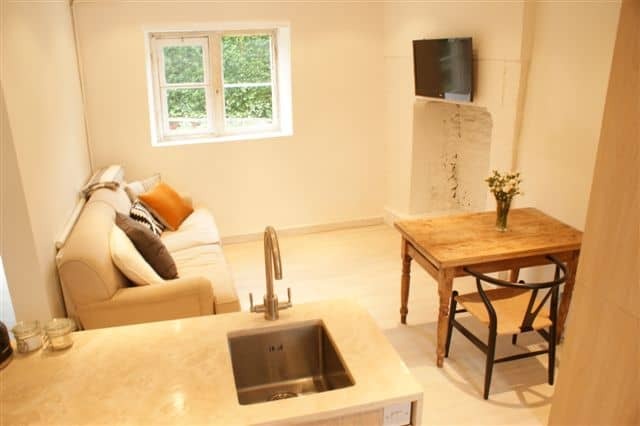 We carried out a full renovation and juggled the layout to form a living area downstairs with bespoke kitchen in oak with limestone worktop. The entire house was fitted with oak flooring. We made a bespoke cut string staircase with under stair storage and fitted new windows and doors. 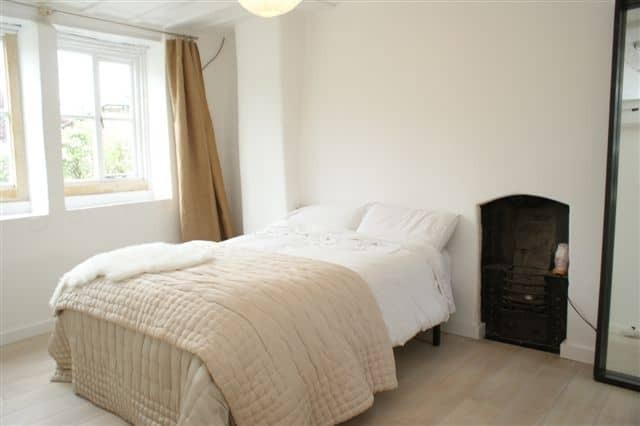 Bedrooms were fitted with bespoke wardrobes with sliding doors to maximise storage. One of our early kitchens but one we enjoyed designing and making. 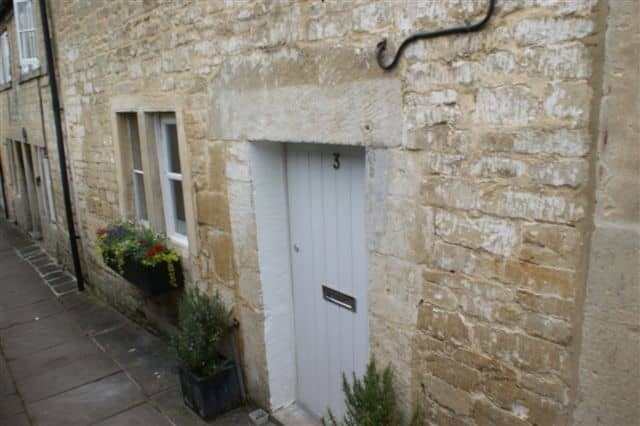 Our clients had a very sweet cottage in Bradford-on-Avon so clever use of space was key. We redesigned the space with Mia Marquez Design, taking down walls, making and fitting a bespoke cut string staircase, excavating tonnes of floor to gain head room, new doors and joinery. The kitchen was crown cut oak, slab modern full overlay. 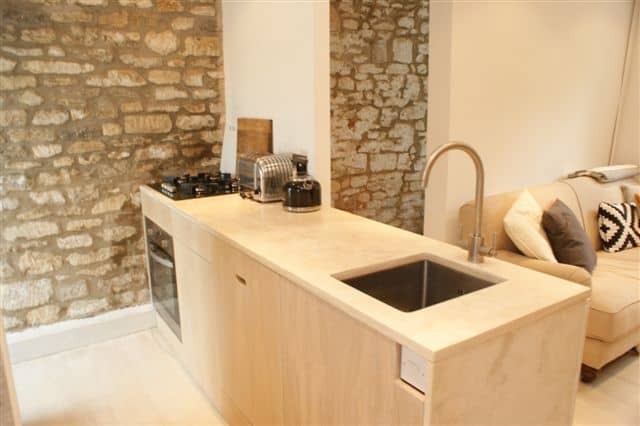 We made out own limestone worktops here and finished the oak in a limed oil which helped create a natural, rustic and neutral aesthetic in the small space. The property was sold by the owners for 75% more than the purchase price thanks to inspired design and good workmanship. Find out more about our rustic kitchens.